Great design is a dance—carefully choreographed and creatively expressed. Murrine Mosaics borrows inspiration from dance and the way light shimmies across a glossy surface for its newest collection, Opal Medley. Just as dancers use their bodies to express feelings through movement, rhythm and form, Opal Medley glass tile conveys the mood of a space through shape, color and luminescence. 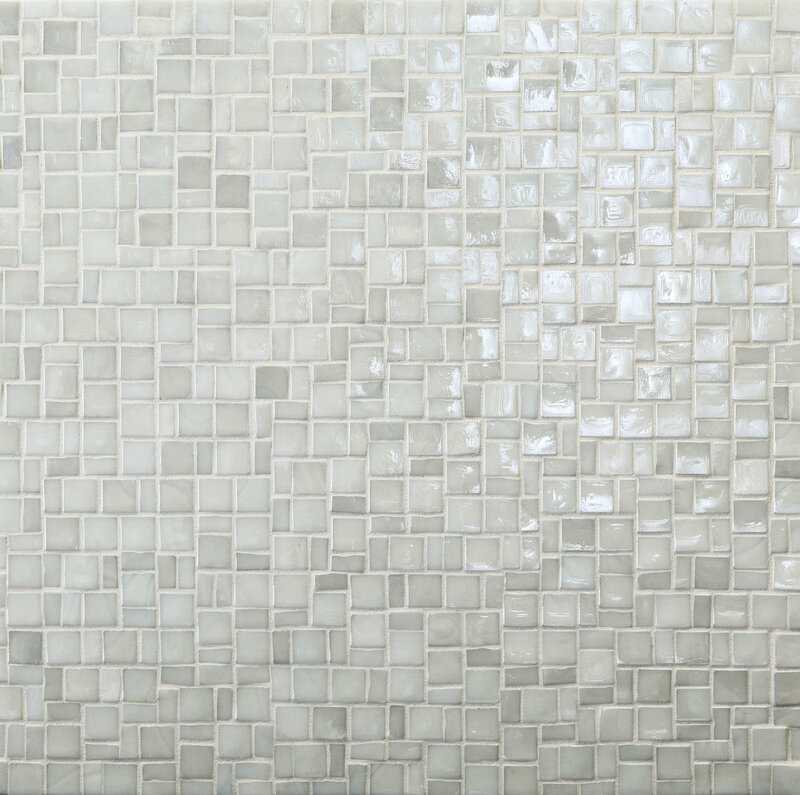 The mosaics are crafted from a fusion of different sizes of glass to create a fascinating rhythm of shimmer. Rumba, Two-Step and Shimmy your way into moving design. Available in a palette of 10 colors. Opal Medley series is not suitable for submerged applications. ⅝" x ⅝"; ⅝" x ⁵/₁₆"
© 2018 MURRINE MOSAICS. All Rights Reserved.